G.E. Frisco is now one of the largest lumber and timber suppliers on the East Coast with over two million board feet of materials in stock. To request a quote please use our ONLINE QUOTE REQUEST FORM below. Or you may download and fill out the QUOTE FORM and CREDIT APPLICATION . The completed forms may be faxed to (301) 249-9620 or emailed to info@gefrisco.com. To request a quote using the online form complete all required (marked with an asterisk*) and applicable fields. Product(s) Description. Please include total quantity or footage, type of material, and dimensions. ANY QUOTE PROVIDED BY G.E. FRISCO COMPANY INC. IS SUBJECT TO CHANGE ACCORDING TO MARKET CONDITIONS. G.E. FRISCO WILL BE PROVIDING A QUOTE AND NOT A FIRM OFFER OF SALE UNLESS A WRITTEN PURCHASE ORDER IS ISSUED BY THE BUYER AND ACCEPTED BY AN AUTHORIZED REPRESENTATIVE OF G.E. FRISCO COMPANY INC.
G.E. Frisco Co. started as a small company over 60 years ago with a mission to provide quality and prompt service and competitive pricing. We are now one of the largest lumber and timber suppliers on the East Coast with over two million board feet of materials in stock. 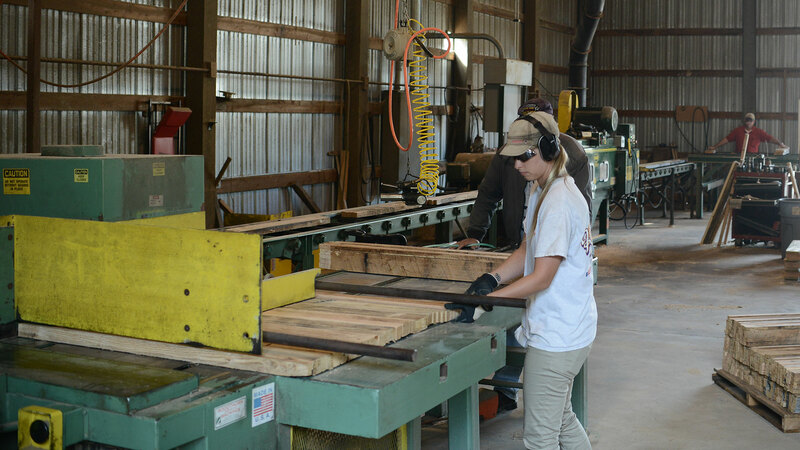 We carry an extensive line of lumber and building material products to fill the needs of different categories of contractors.